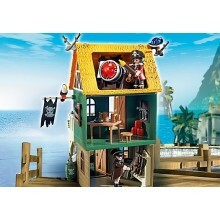 The Super 4 Camouflage Pirate Fort with Ruby features a camouflaged fort where the Pirates can hide in wait ready to attack any approaching enemies. 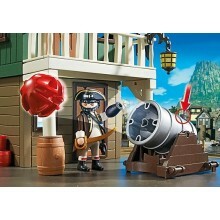 There is a parrot perched on a flag pole keeping watch to alert his crew of any unwanted company. 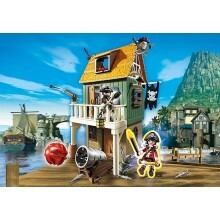 The set features two Super 4 Pirates including Ruby, two firing cannons to keep enemies away and lots of accessories. 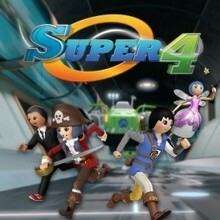 Super 4, inspired by Playmobil. 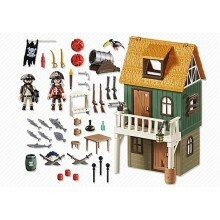 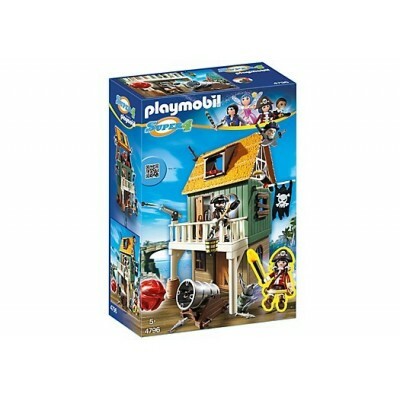 1 x Super 4 Camouflaged Pirate Fort, x2 Super 4 Pirates including Ruby and lots of accessories.